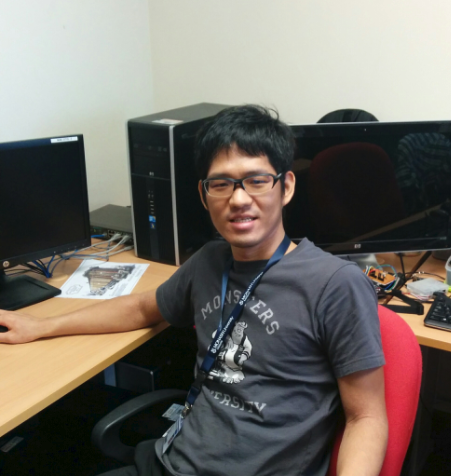 A.Yorita is currently pursuing his PhD at Monash University Malaysia under a scholarship. His research project focuses mainly on the stress management for the doctors and nurses. Prior to joining Monash for the PhD study, he worked as a system engineer in Hitachi Information & Telecommunication Engineering, Ltd.
*Master of Engineering, Tokyo Metropolitan University, Japan, 2009. *Bachelor of Mechanical Engineering, Saitama University, Japan, 2007. Akihiro Yorita, Naoyuki Kubota, Cognitive Development in Partner Robots for Information Support to Elderly People, IEEE Transactions on Autonomous Mental Development, Volume 3, Issue 1, Mar. 2011, pp64-73.